Hungary is a small country of 11 million people located in the center of Europe, its capital Budapest - characterized as a place where East meets West. The country’s history is 1100 years old. The present form of the country reflects the break-up of the Austro-Hungarian monarchy following World War I. Soviet occupation of Hungary began during WWII, determining the course of the next five decades of this war-torn nation. My wife, Maria and I were born, raised, educated and married in Hungary, even our children were born there. However, in order to reach our people with the Gospel, we had to leave our homeland, escaping from one country to another in order to go to Monte Carlo, where we became missionaries of Trans World Radio. Although my wife and I were involved in different ministries in Hungary, our scope of reach was very limited. Coming from an underground church, I was actively involved in a clandestine type of Christian book publishing from my teenage years on. In the darkroom of my parents’ house, hundreds of books were printed in a photographic way, like Oswald Chambers’ My Utmost of His Highest, an excellent devotional book. Later on I started a tape ministry with a friend of mine. In the early sixties, when tape recorders were over twenty pounds, we used to carry them 3 to 4 times a week to record and circulate hundreds of taped messages. Being a geologist, I had the opportunity to travel widely in the country and I always used these trips to visit isolated Christian groups wherever I could find them. By doing this, I was able to reach a few hundred people with the Gospel. But in the back of mind I always had this puzzling question: “Even if I will do this ministry till the end of my life, I might be able to reach only a few thousand people. But who will reach the millions of unsaved in my country?” I was especially concerned about my generation, the young people, who were attacked daily by heavy atheistic propaganda and practically unreached by the Gospel. This was the time when I started to use my tape-recorder for recording radio messages. As a matter of fact, I took a summer job and used the money I earned to buy one of the best quality tape-recorders, which was good enough to record for broadcasting purposes. I was asking visiting missionaries to smuggle the tapes out of Hungary and send them to Monte Carlo in order to be used by TWR, broadcasting back the messages to Hungary. I had been doing this secret recording for about three years, when I started to feel that this ministry might be more important for me than anything else I could possibly do for the Lord. So one day I visited a friend of mine who knew more about TWR and gathered enough information from him to build a more solid foundation to my ever-stronger spiritual conviction, that spreading the Gospel through the radio should become my full time work. I remember that after a few hours talk with my friend, who did not have a clue why I was so interested in Monte Carlo, I went home and shared my innermost thoughts with my wife, which went something like this: “Honey, I am convinced that we have to pack up and go to Monte Carlo.” Following that, I think my wife checked my temperature and asked what had I eaten. However, and this is still amazes me, after a half an hour discussion we were in complete agreement as to where God was leading us. Leaving Hungary for good and becoming a missionary with TWR - we knew it was a lifetime decision. Of course, it was impossible for us to officially apply to TWR from Hungary. What we had done in Hungary so far was highly illegal, I mean supplying broadcasting material to a western radio station on a regular basis from Hungary was a punishable act, for which I could have been arrested and sentenced to prison for years. The authorities in a communist country would never give their blessing for the Baranyis to become the broadcasters of the Gospel. We had to find some other way: we had to escape from Hungary in order to serve the Lord in Monte Carlo. But how shall we escape with two little children? We could not even get a passport to any Western European country as a family. We had only one option: Yugoslavia, which was a country somehow in the political middle ground between East and West. We might be able to go to Yugoslavia and then sneak across the border into Italy, which was considered to be a free land for us, from where we could go to Monaco. And we knew that they did not guard the Yugoslavian-Italian border so heavily, there was no iron curtain there unlike in Hungary, so we thought we might have a chance. But saying good-bye to our parents, relatives and friends without telling them anything about our secret plan was everything but easy. We might never see them again. As a matter of fact, I never saw my father again, as he died a few years later and I was not even allowed to go home to his funeral. But we could not tell anybody our plan, except two of our closest friends, because just to know someone’s plan to escape and not to report it to the authorities was a punishable act in Hungary. So, we quietly and prayerfully prepared our way out of the country. We had a Christian friend in Yugoslavia, so we visited him, and revealed to him our plan to go to Monte Carlo. He was willing to help. Having some relatives living right at the border area, he went to see them for further assistance. However, his brother-in-law refused to help us. Why? Because he had to spend one year in prison for such an activity. We were stunned as we realized that it will be very difficult for us as a family with two little children (Esther and Annemaria were one and two years old at that time) to sneak through the Yugoslavian-Italian border. We had to find a safe way to escape, we could not just run through the border like others did. But how? I was frustrated, anxious, inpatient. I just could not sit and wait, so within a few hours, I came up with my solution to the problem. Let us rent a car! By car we can freely move around, check the border area and find a good escape route. I told my wife my fantastic idea, explaining to her that all we had to do was to just find the right place in the forest along the border area where we could cross the border by foot. We could leave the car behind, they will find it, we would have paid for it one week in advance; so no need to worry about it - I tried to convince my wife, as she worried, and was not very happy about my fantastic idea. But I was young and strong enough to carry out my will, so the next day we rented a car and started to check the border area. But not for very long. Every time I was running close to a border checking point, I had to turn back and go the other direction. Doing this a few times was quite a nerve-racking experience. Especially when I realized that someone was following me. But I was not sure, so I asked my wife to take a look back at who was coming after us. But she was busy with the kids, who were enjoying themselves in the car, jumping on the back seat, trying to open the window, and I had to admit that there was not a very spiritual atmosphere in the car. My wife was not able to look at back, so I did for a short moment, which was enough to miss a sharp curve. The next thing that I realized was that we hit a milestone, then rolled down from the road into a valley. We had a terrible car accident. The brand new rented car was a wreck, our oldest daughter broke her leg and had a head injury, we were full of scratches and bruises but miraculously alive. My fantastic idea became a catastrophe. Standing beside the wrecked car, one of my first clear thoughts was something like this: “Thank you Lord, that we are alive. I know why this has happened and I promise You not to do it again. If You want to see us in Monte Carlo, You must place us in Your hand and carry us there!” Yes, I knew very well that I had been acting on my own and we had to pay a very high price for it. I was just impatient to sit down and pray, asking for God’s guidance in this difficult situation. I wanted to find a solution immediately and acted on my own. We climbed up to the road and managed to stop another car passing by. My family was taken to the hospital and I was taken to the police office. When we were released at the end of the day, we knew that our dream was gone. We spent the following two weeks in Yugoslavia as typical tourists. Our hearts were heavy, we understood fully the consequences of my mistake, but at the same time we felt that our desire to serve the Lord through the radio was genuine. Yet nothing has happened during those next few days. So when our vacation was over, we were ready to go home. We had the train ticket, the place reservation, and the next morning we were supposed to take a train back to Hungary. But in that last evening, when I was preparing the suitcases, something unusual happened. I heard a voice telling me: “Go down to the port and the first ship that you will see will take you into Italy.” I was shocked. My first reaction was: “No Lord, I told you, I am not going to anything.” But after a moment I realized that it was not me who was thinking again to do something. It was the Lord who was telling me exactly what to do. And I was afraid to do that. During those days in Yugoslavia we had to learn that it is very unwise to ask someone, an unknown person, for help in crossing the border. It happened often that the person who was asked for help might have said: “Okay, give me five hundred dollars”, or something like this, and they put the money into their pocket and took the people to the police office. Of course, they did not know who Joseph Baranyi is, I never revealed my name to them, although I was supplying broadcasting material to them for years, but everything was done in secret. However, I had learn that they did some investigation about those tapes and found out who was the man behind them, so finally when I got to the person who was familiar with my name, TWR was willing to help. Yes, we needed help as we had to cross another border, the French-Italian border, without proper papers, but this is another story. A few days later, on a tiny little nutshell of a sailboat, we arrived in Menton, the first port in France, and after we received our political refugee status in France, we were accepted as missionaries with TWR. Yes, God prepared not only our way to Monte Carlo, but He prepared our place there too. 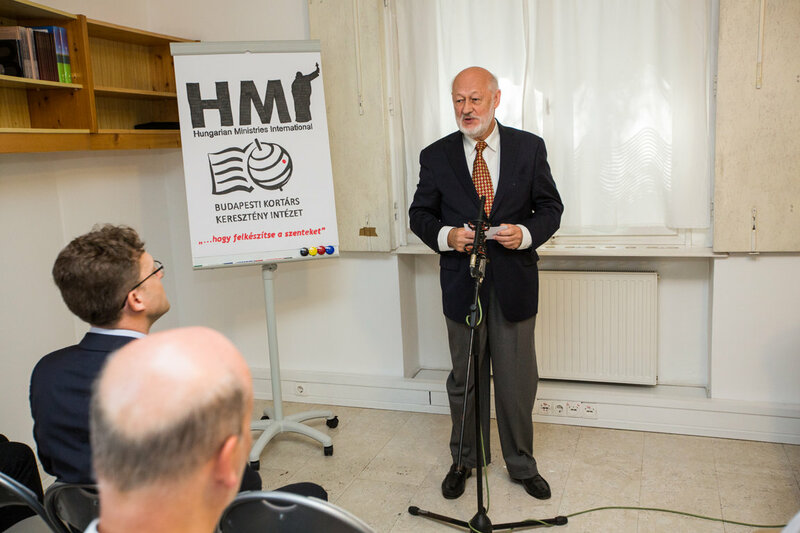 A few weeks later they told us that the missionary staff in Monaco had been praying for months and months very specifically for someone who might be able to help the Hungarian ministry there. They were told to pray for a capable, possible young man who was raised and educated in Hungary and has a heart for the ministry. They were praying for our arrival and were more than surprised to learn that God answered their prayer exactly as they were asking for and quicker than they thought. When we acted on our own, we ended up in a catastrophe, but when in His own time God acted, it was a miracle. For the next twenty years, God gave us the opportunity to preach the gospel through the radio to the millions of Hungarian speaking people in and outside of Hungary. You might understand that millions of Hungarians are living in the surrounding countries of our native land, in Slovakia, Ukraine, Romania, Serbia, Croatia and Austria, not to mention those hundreds of thousands who escaped, like we did, and spread around the world almost everywhere. I was impressed by the thought that one can preach the Word of God all over the world by radio and was convinced that we must use this modern technology, doing our part and the Holy Spirit finishing the job in the hearts of the people as they listened. Let me close my personal testimony, sharing with you how my parents were saved. Before leaving Hungary in 1972, I wanted to make sure that my father at least once hears my testimony and kindly forced him to listen to me. It was quite an unpleasant conversation. But you have to understand that whenever I tried previously to witness him, he always stopped me saying that Sunday morning, and the Catholic Church would be the right time and the right place to talk about Jesus Christ. Why do not we talk about some scientific question, he might have added kindly to his rejection. But at this time, as we were about to leave Hungary for good, I felt it was probably my last chance to witness my father. As a matter of fact, it was my last conversation in live with him. Five years later he passed away and I was not even allowed to go back to his funeral. However, about a year later we received a letter from him stating that he listens our radio program every day and enjoys his son’s messages. What a surprise! When I was next to him he did not listen to me, but via radio he was willing to. Later on he wrote to me that he was hospitalized, had a surgery and was getting better. And there was an unusual remark in the letter: “Not the doctors but God helped me.” Vow, that was a new tone from my father. He always praised the doctors not God. But there was more to come. In one of his latest letter he wrote: “My Dear Son, now I know that your way was the right one.” He came to the saving knowledge of Jesus Christ as he was listening his son through the radio. Years later my mother, who at that time still rejected the Gospel, said: your father believed in your Jesus. There is a very interesting mostly unnoticed verse in the Gospel of Matthew, Chapter 11, verse one: “After Jesus had finished instructing his twelve disciples, he went on from there to teach and preach in their cities. ”What this verse is telling us that Jesus told the disciples to go and do your job, as it was described in the previous Chapter, preach this message: The kingdom of heaven is near. After sending them away He himself took the responsibility to go into the cities of the disciples and visit their relatives, sharing with them His good news. What a wonderful divine strategy. It worked two thousand years ago and it surly worked for me as we obeyed His instructions and left our hometown in order to go to Monte Carlo to preach the Gospel to the Hungarian people. For about twenty years I was glad to report whenever I had the opportunity the miraculous change in my father’s life a year before his death. He did not listen his son for years when I was next to him but he listened me through the radio and was saved. Whenever I shared this testimony I always asked the audience to pray for my mother who still rejected the Gospel. Hundreds shared with me personally that they were praying for her and perhaps thousands did faithfully for years and years. Sometime I told my mother that there are many all across in America who are praying for her. Now, as I praise God, I have to admit that those prayers were not in vain. Our merciful Father in heaven heard and answered the prayers of His faithful. When my mother said in the last days of her life: “I accept Jesus Christ” … and “I laid down my weapons before God," she knew very well what she was talking about it. Only God knows her heart but the peace that she had was a witness to me of the change she experienced. But let me share with you in more detail what happened. My mother did not feel well in October 1997 so we postponed our departure date to the States till the end of November. However we did not expect what has followed. Once, in the early days of November she collapsed at home and I had to take her to the hospital. The reason of her sudden collapse, as we learned a day later, very high blood sugar level, in fact her blood sugar was dangerously high. We did not know and she did not know either that she had diabetes. After being hospitalized for two weeks we were relieved that finally she was getting better, when one morning, suddenly, shortly after finishing her breakfast she silently passed away at the age of 81. I visited her every day in the hospital and was glad to see the spiritual change in her life in the last days. In our last conversation she was just thanking me for everything, saying nice words to her son. She had such a peace in her eyes that I never saw before. Even more importantly after decades of long fight with God she finally laid down her weapons. I stayed at her bedside many hours in the last few weeks, so I know that it was not an easy battle for her. Praise God for the change in her life. If you would like to receive the infoletters from Joseph Baranyi via e-mail, please, send us a message here.